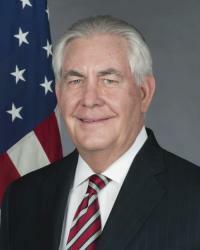 From February 11-16, Secretary of State Rex Tillerson met with officials in Egypt, Kuwait, Jordan, Lebanon and Turkey during a tour of the Middle East. Iran's rising influence in the region, the nuclear agreement, and the latest incident between Israel and Iran in Syria, were topics of discussion throughout the trip. 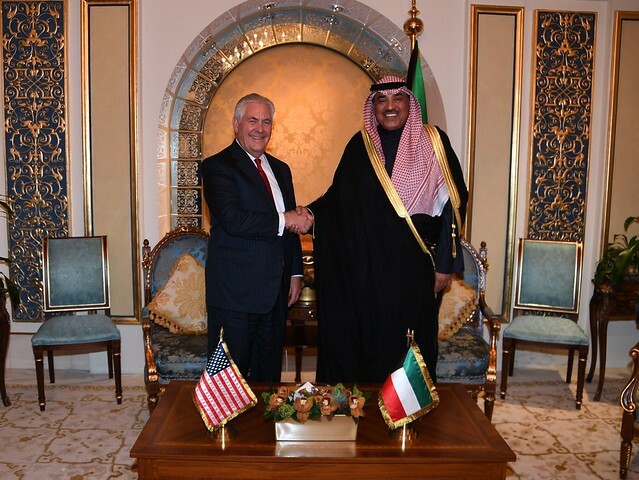 "With respect to Iran’s broader involvement in the region, we have spoken very clearly about Iran’s destabilizing presence in Yemen, their destabilizing presence in Syria, in Lebanon, and in Iraq as well," Tillerson said in an interview with Al Hurra TV in Kuwait. "It is our view – I think it’s the view by and large of the international community – that Iran’s presence in these countries is not helpful. It does not bring stability." The following are excerpted remarks from Tillerson's trip. QUESTION: But they’re doing the opposite. SECRETARY TILLERSON: Well, they’re not going to go just because we ask them. I think ultimately the will – the will of the Syrian people and restoring a free, whole, democratic and independent Syria, that will result in them rejecting outside interference from Iran. 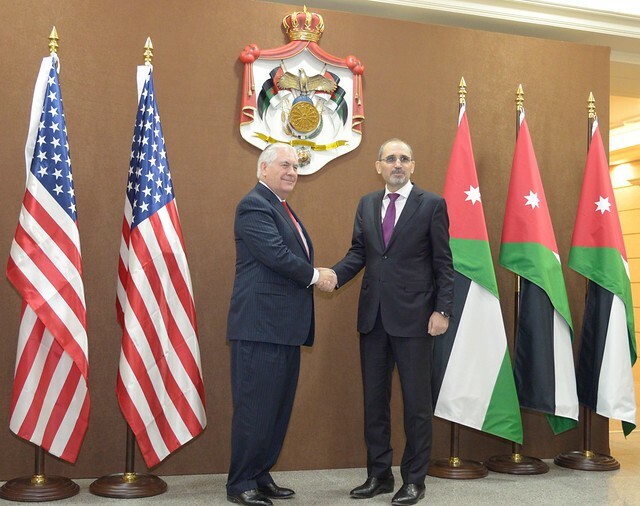 QUESTION: (Via interpreter) I am Faisal Malkawi from the Jordanian Daily Al-Rai. I have a question to Your Excellencies. The first question has to do with the Syrian issue. In days or weeks, this crisis will enter its eighth year with no political solutions. Recently there was an Iranian-Syrian-Israeli clash there. How is it possible to regain control over this situation and pushing a political solution according to 2254 and the points of reference? A second of question has to do with the developments pertaining to the political peace process. The area is very skeptical when it comes to the – and worried about the Arab-Israeli conflict, and this conflict actually generates other conflicts. We are awaiting the U.S. peace plan next month. The two-state solution is the – being contemplated in this region. How is it possible to go back to the two-state solution to end this conflict once and for all? Thank you. 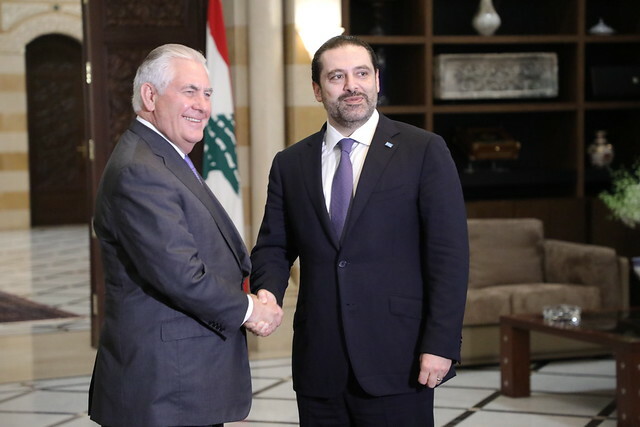 SECRETARY TILLERSON: Well, we are quite concerned about the recent incident involving Israel and Iranian assets inside of Syria, and I think this again illustrates why Iran’s presence in Syria is only destabilizing to the region. We think Iran needs to withdraw its military, its militia from Syria, and allow the hope for peace process to take hold in Geneva.